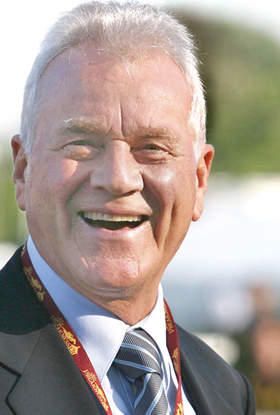 Magnas Stronach say his company has cash reserves of about $1.5 billion. BOCHUM, Germany -- Magna International Chairman Frank Stronach said the economic crisis will last into next year unless governments take swift action to counter the downturn. Stronach said U.S. President Obama needed to act quickly. I hope that President Obama will be able to see very soon what is the cause of the problem and so we can set up strong rules to make sure this never happens again, he said. Stronach was speaking to Automotive News Europe on the sidelines of an annual conference organized by the Center for Automotive Research in Bochum, Germany, on January 28. He said he is wary of an auto czar for the U.S. industry. Stronach said Magna has been affected by the crisis and has cut production in line with falling orders from customers. But he said the company had a strong balance sheet and cash reserves of about $1.5 billion. Stronach said many suppliers were in trouble because they could not get loans from banks. Magna, of Aurora, Ontario, Canada, ranks No.3 in Automotive Newss list of the top 100 global suppliers with worldwide parts sales to automakers of $25.65 billion in 2007.